Home Brexit Watch Brexiteers, go down in flames of glory! Well, the fix is in. 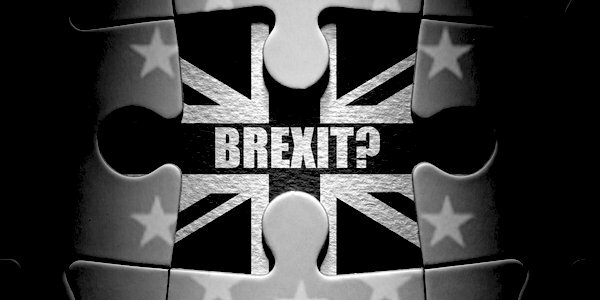 It is to be as the pessimists feared – Brexit In Name Only. A process in British history that was started with great courage by the electorate ends in cowardice, failure and moral corruption by our ‘leaders’. The people have been let down by the politicians in a way that may have terrible repercussions for the rest of our lives. By all reports Brexiteers are very gloomy, extremely angry, but will refuse to act. Plus ça change . . . Apparently the excuse this time is that they expect May to go after ‘Brexit’ is achieved and don’t want to move until then. They are wrong. Do not underestimate Theresa May. She is a snake; a devious, cowardly snake, yes, but also a personally highly ambitious one, who will clearly stop at nothing to remain in position. She outmanoeuvred all rivals for the leadership and has outmanoeuvred them again through the Brexit process. It is becoming clearer and clearer that she wants to fight the next election, cynically reckoning that the British people will never elect a Corbyn government. The only way to beat those with devious intent is with high moral principle and brutal, searing honesty. In the short term, and perhaps the long, it will cost you personally very dearly – just ask Nigel Farage – but people will remember and ultimately respect your sacrifice. What we need now is a fantastic self-sacrifice from the Brexiteers, to go down in flames of glory. Resign, all of you, and be brutal in your condemnation. It is true they probably don’t have the numbers to force out May (which is why that dreadful woman is so relaxed and happy). It is also true that it may be poor short-term politics in terms of lessening the already meagre influence they wield. However, in the long term it will provide a locus people can rebuild around. Yes, it’s a naïve thing to ask of politicians, especially ambitious Tory ones, but forget the manoeuvring and act on principle, because go along with this and it’s over. Not just for them, but for everything. For a number of reasons, pressure on the system has been building for some time. The betrayal of Brexit will in all probability bring down the Tory party and destroy our current system of government. Both these developments would be welcome in my view, but one should be very careful about what one wishes for, and we do not know what form a revolution would take. Some faith in individual actors must be retained even if all trust in the system itself has gone, otherwise other, darker forces may seize their chance. Brexit is often, somewhat simplistically, compared to the Protestant Reformation. It is certainly playing out with the same extreme twists of fortune. Just like the Reformation, it might so do again, but only if the people have heroes, even martyrs, they can still believe in after so astounding a betrayal. So, be of good comfort, Brexiteers, and play the man. Light a candle for Brexit today that may never be put out.